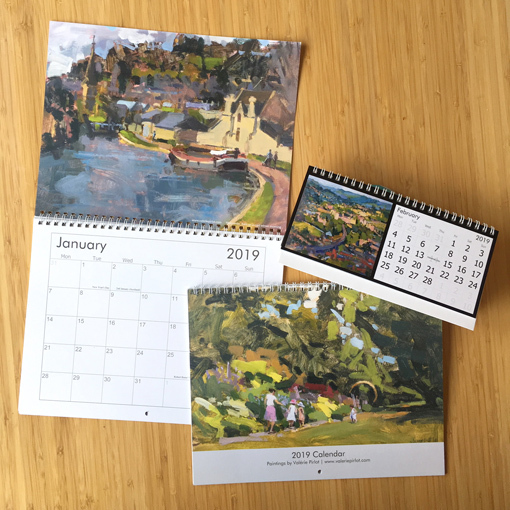 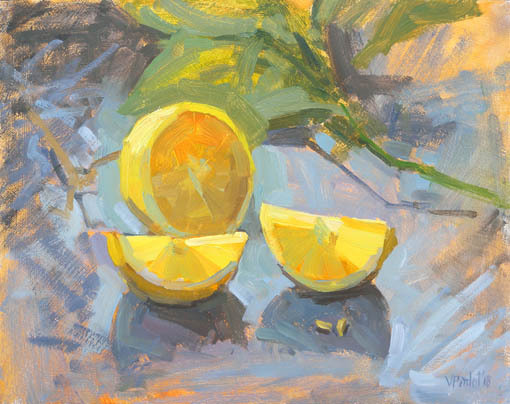 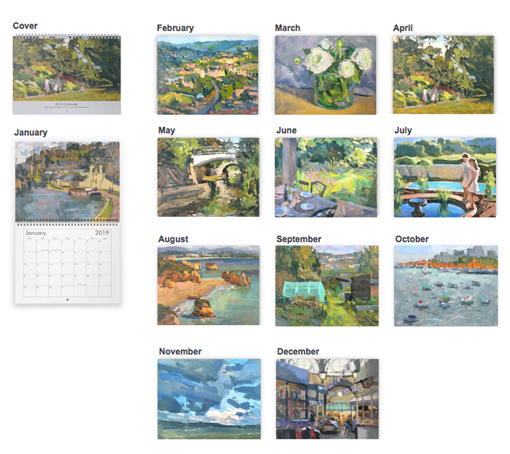 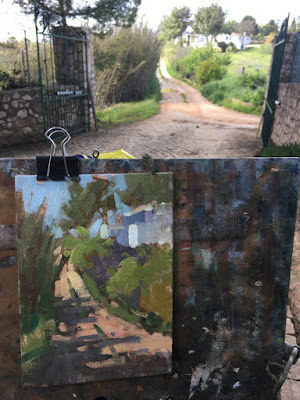 Now the British Plein Air Painters London show is over, I finally get the chance to put some time and care into my poor abandoned little blog. 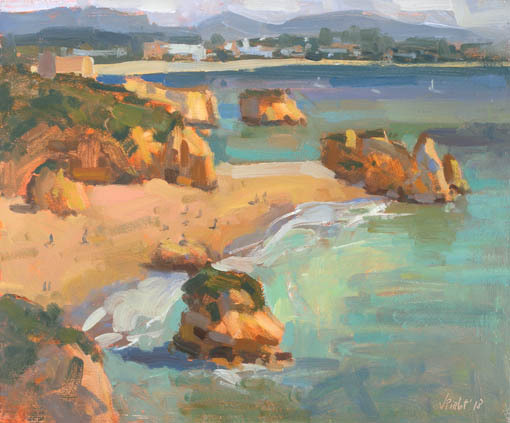 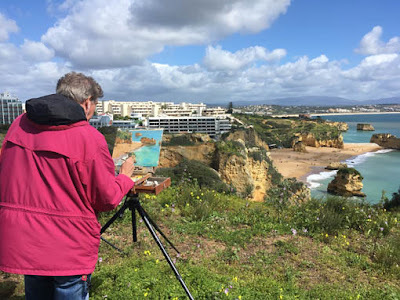 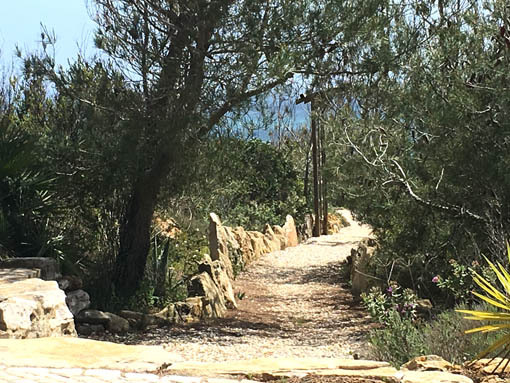 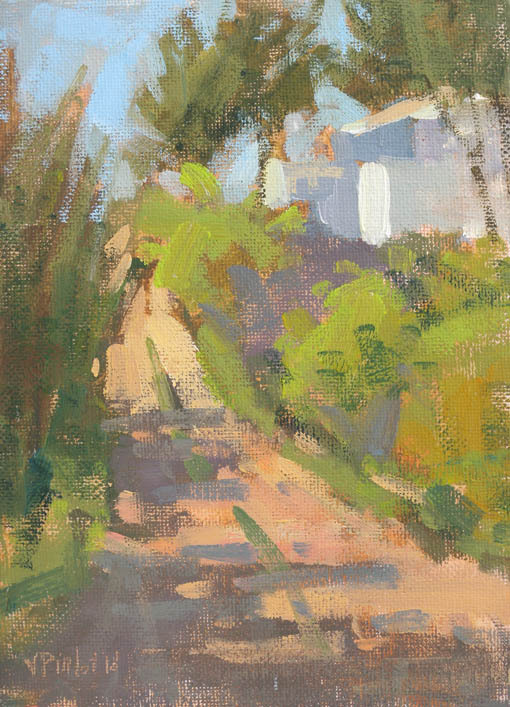 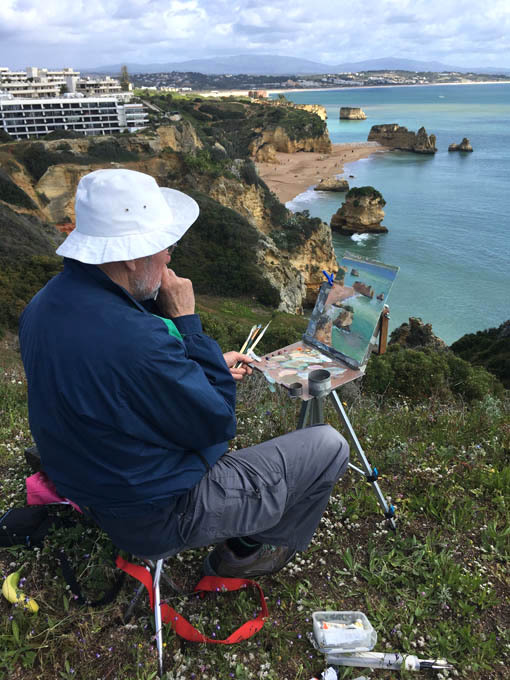 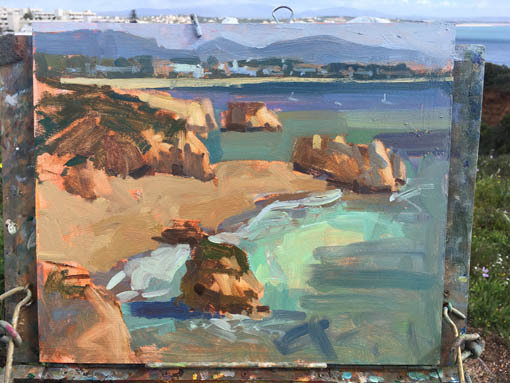 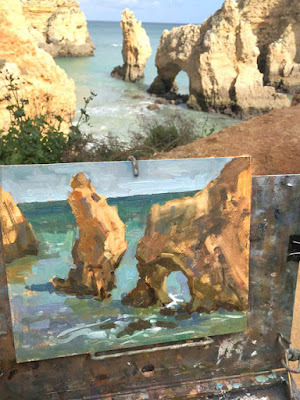 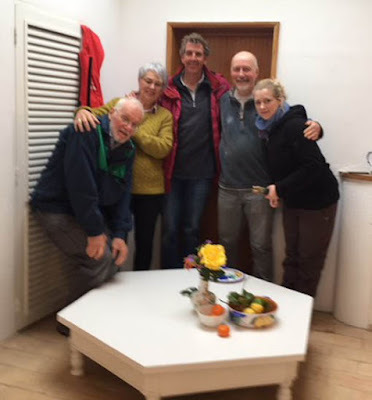 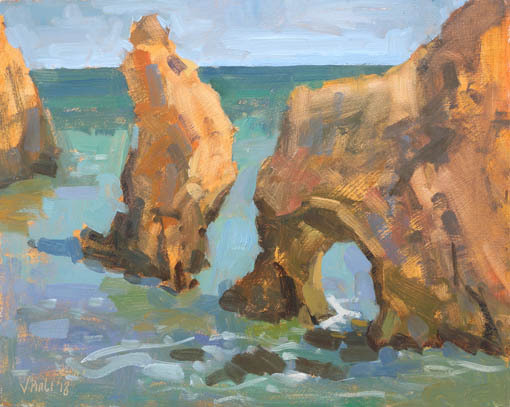 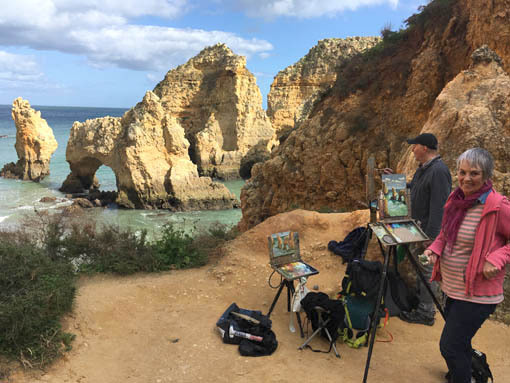 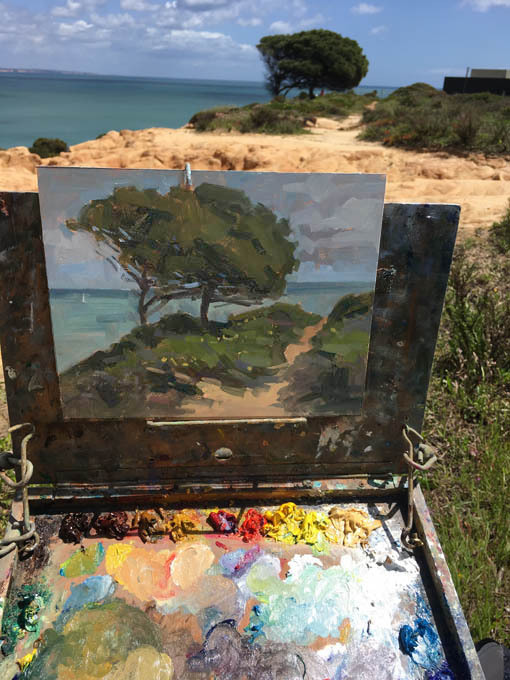 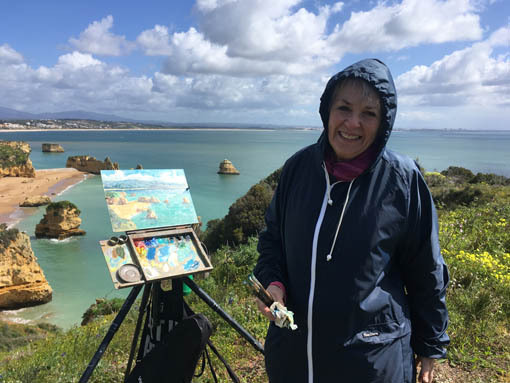 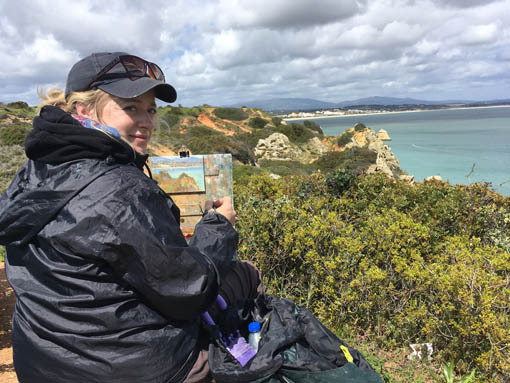 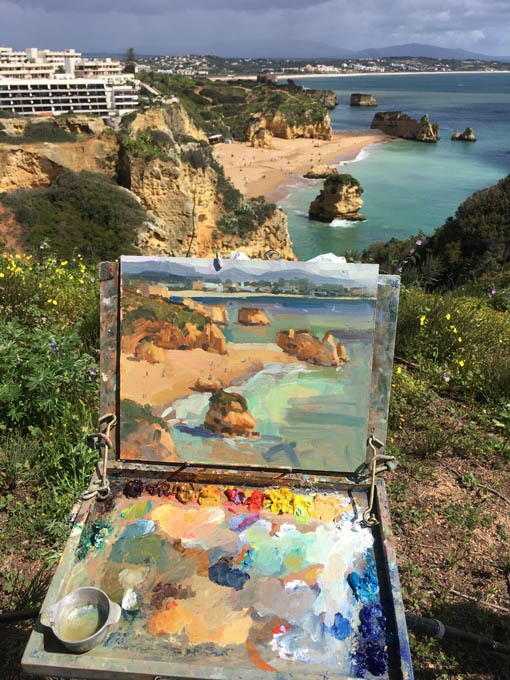 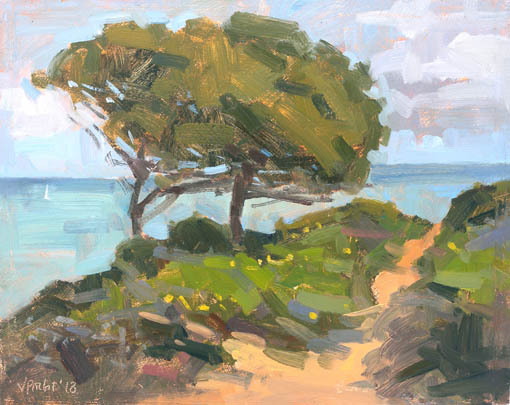 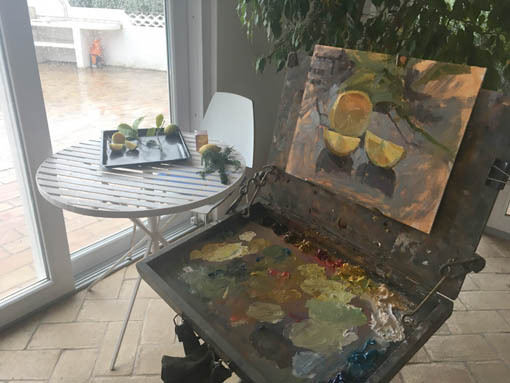 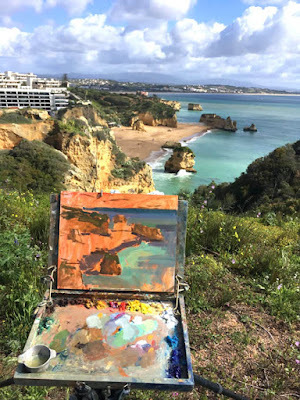 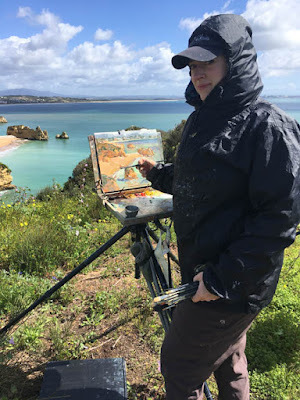 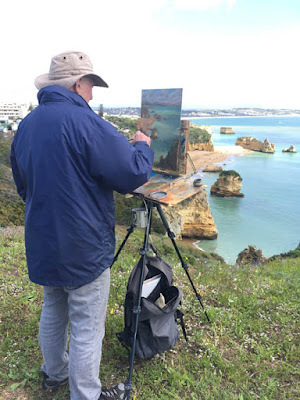 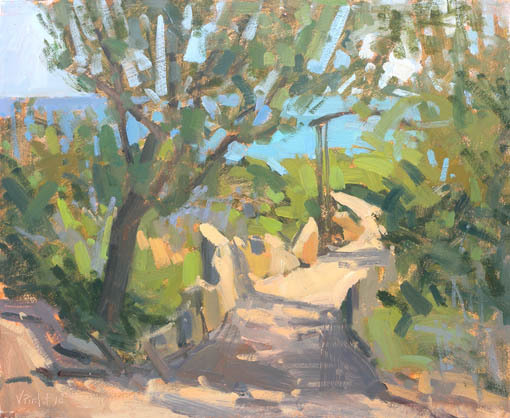 I have a many posts queuing to be shared with you, but before I do so over the next few months, I wanted to post the last paintings from my trip in Portugal (Algarve) earlier this year. 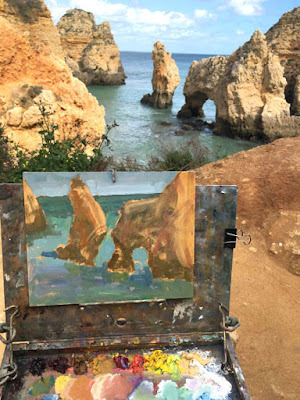 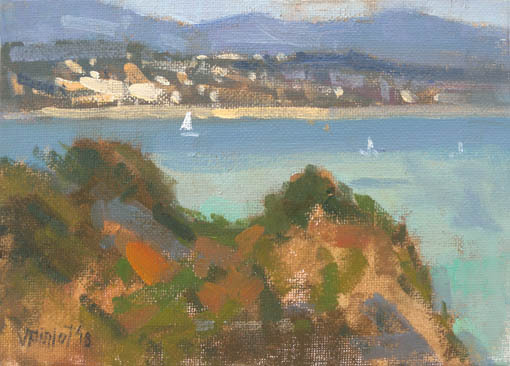 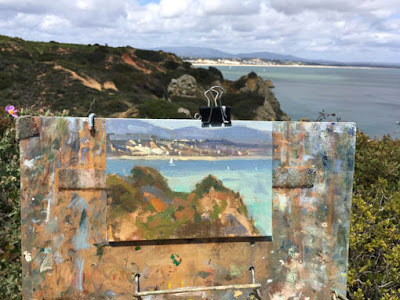 First painting below: we cheekily had to go under a couple of fences to access this beautiful point of view at the edge of the cliff. It was so windy! 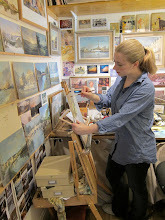 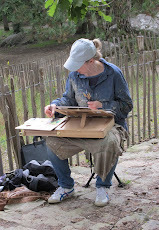 Will post soon about painting in Bath, painting flowers and people.